Meat is the centerpiece of celebratory meals and everyday dinners. The quality of the meat—be it beef, lamb, chicken, pork, or even wild game like venison and rabbit—and the way it is prepared has never been so thoroughly important as in today’s world. Fifth- generation butcher Anthony Puharich believes that sustainably raised meat can and should remain the pinnacle of the kitchen: a special and wonderful treat, handled with care by the best farmers and butchers and eaten with respect. 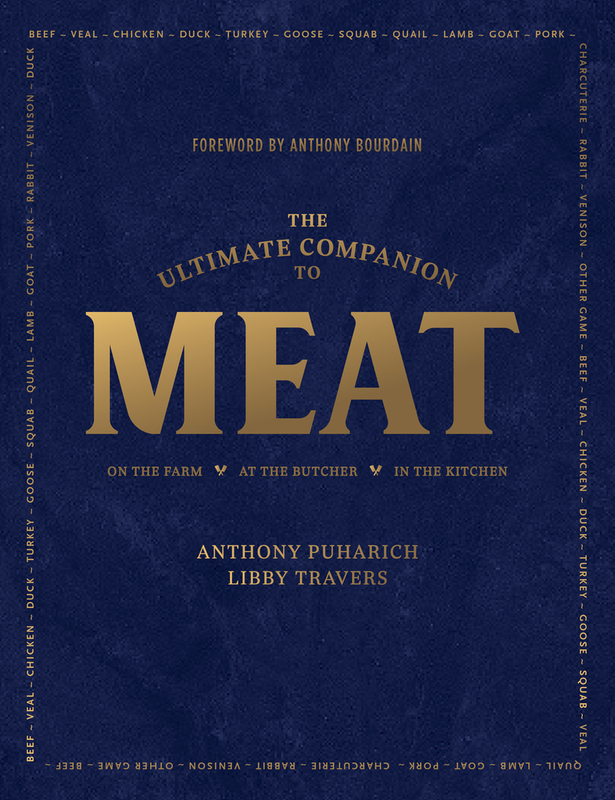 In The Ultimate Companion to Meat, he reveals how to make enjoying meat a sublime experience, with more than 100 recipes. Chapters include Birds, Sheep, Pigs, Cattle, and Wild. There is information about breeds, their history, and what they eat and how it affects the taste, as well as what happens on the farm, at the butcher, and finally, in the kitchen. There’s a chapter on technique, including cooking methods and basic butchery. Hundreds of illustrations, diagrams, and stunning photographs make this truly the ultimate guide for anyone who is serious about meat. Anthony Puharich is a fifth-generation butcher and co-owner of Victor Churchill, the “Bulgari of butcheries,” in Sydney, Australia. Libby Travers is a food writer, commentator, and communications consultant, and an advocate for sustainably produced food and wine.